Cameron focuses his practice on entertainment law, commercial and intellectual property litigation and family law. He represents professional athletes in contract, branding and licensing issues as well as in litigation and regulatory compliance, and advises entertainment industry clients on a wide range of copyright and other intellectual property matters and litigation. Cameron’s family law practice is comprehensive. He handles a full range of family law matters including custody, support, divorce and partition of property. He also represents clients in a wide variety of business disputes. Represent current and former NBA and NFL players in litigation matters, contract issues, licensing, branding and State of Florida regulatory compliance. Represent a film production company in matters involving copyright infringement. Represented the petitioner in a family law case, where, through discovery, it was found that the respondent committed perjury in both discovery and in court testimony. Through a motion for sanctions and a move for the court to initiate criminal contempt proceedings against the respondent, the case was settled favorably for the client. Obtained a favorable settlement in mediation for a commercial client facing eviction, allowing the client to vacate the premises on its own terms, with three times the relocation assistance initially offered by the landlord. Cameron is a sought-after community speaker. 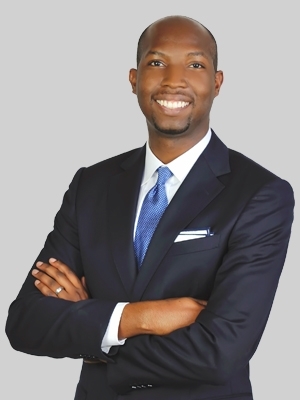 He has addressed audiences at local high schools and Boys & Girls Clubs of Palm Beach County, on issues such as entertainment and the law, choosing a career path and NCAA compliance. He was also featured speaker at the October 2017 naturalization ceremony held at the Paul G. Rogers Federal Building and U.S. Courthouse in West Palm Beach. Prior to joining Fox, Cameron was an intern at the United States Attorney’s Office in Florida, where he advised the Assistant U.S. Attorney and collaborated with the FBI, DEA and ATF on federal criminal trials. He was also a summer associate in Fox’s West Palm Beach office. During law school, Cameron was an appellate advocacy teaching assistant, a legal writing teaching assistant and a member of the Black Law Students Association.